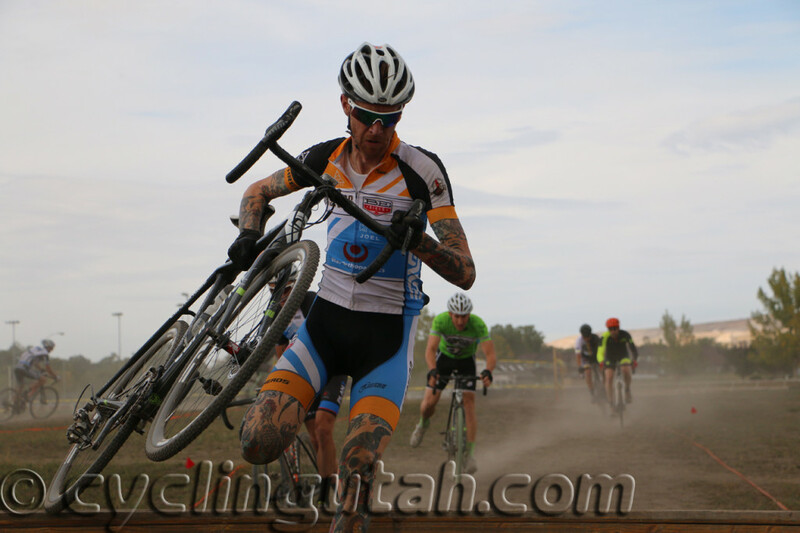 Utah Cyclocross Race Sees Good Turnout for Great Course! 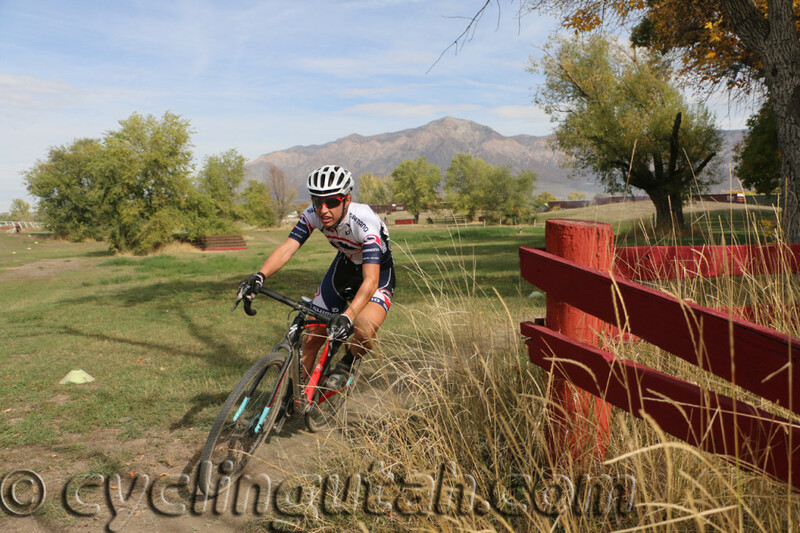 October 22, 2015 – The fourth race of the Utah Cyclocross Series was held at Weber County Fairgrounds in Ogden, Utah on October 17, 2015. On a turny course with lots of terrain features, horse barriers, and cross barriers, Mindy McCutcheon (Canyon Bicycles-Shimano) and Thomas Bender (Kuhl/Bender Bros Racing) turned up the volume several notches to take wins in the Women's A and Men's A Categories respectively. In the Women's A race, McCutcheon went hard from the gun, opening up a gap early. She never looked back, and took the win by a comfortable margin over second place Ali Knutson (SaltAir-Cross Fever). Tiffany Pezzulo, the newly crowned USA Crits Series Champion, took third despite crashing. In the Men's A race, Thomas Bender, brother Jeff Bender (Kuhl/Bender Bros Racing), and Dylan Cirulis (Roosters/Biker's Edge) gapped the rest of the strong field early on. The three road together for a lap or two until Thomas pulled away, leaving Jeff Bender to play the role of steady teammate. Jeff sat on Cirulis for a chunk of the race until Cirulis put time into him. With a couple of laps to go, Cirulis was gaining on Thomas, but was unable to close the gap. Meanwhile, Thomas Bender rode like a diesel train, powering through the Weber County Fairgrounds twists and turns to stay in front take a comfortable win, his first ever. Jeff Bender eventually caught and passed Cirulis to take second with Cirulis coming in third. Timothy Rugg, from Harrisonburg, Virginia, rode his mountain bike to a strong fourth place finish. Another out of stater, Steve Carwile (Owings Mills, Maryland) rounded out the top five. In the Men's 35+ A, Tim Matthews powered to his 4th straight win in 2015. 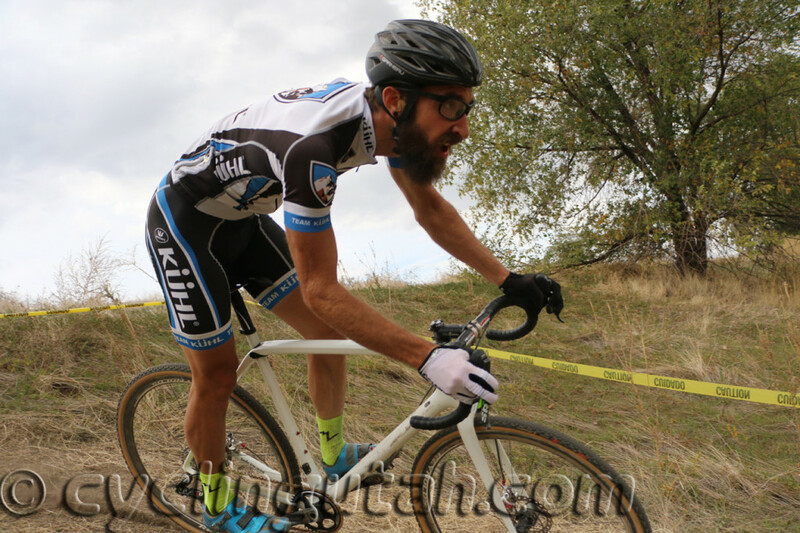 The Rooster's/Biker's Edge rider is hoping to repeat his 2014 overall series title. 6 0:45:56 Mike Newberry Racerheads S.L.C. 4 0:40:24 Liam ODonnell Cicada Racing Inc.
4 0:43:12 Lisa FitzGerald Dr.